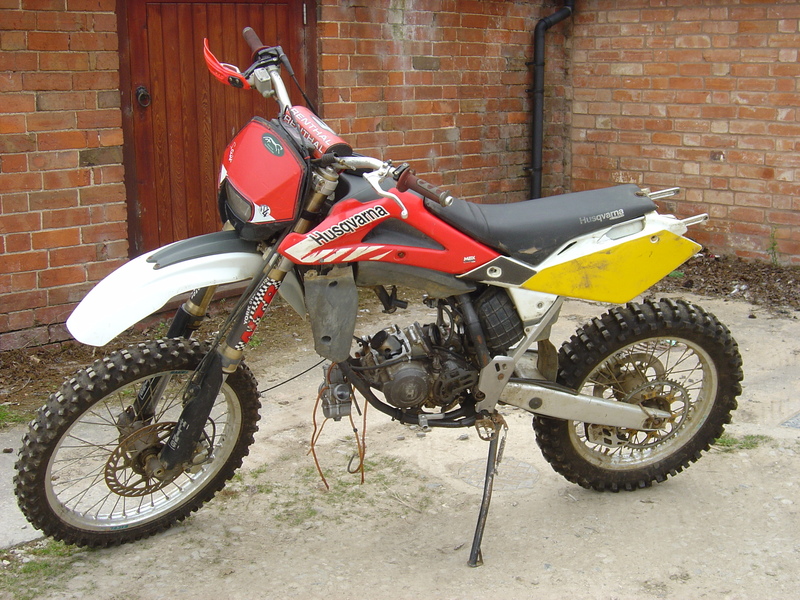 Good Afternoon, Today we are breaking a Husqvarna 125 motor cycle, This Motor bike is being broken for spares and are police recovered motorcycles so we are unable to sell the frame as they are required to be destroyed by law. We are selling the Husqvarna 125 spare parts including the complete engine, Alternator, Stator, Coils, Carburettor, CDI unit, Front wheel, Rear wheel, Swinging arm, Rear shock absorber, Fork forks and yokes, Brake callipers, Brake master cylinders, Exhaust Pipe (Front pipes and Silencers, Fuel tank, Seats, Side stands, Panels, Light Units head and rear, Mudguards, Front and rear foot rests, Kick Start Levers, Air box, Switch gear. We have some other Husqvarna for sale please email breaker@motor-bike-breakers.co.uk or Telephone 07976 246879 to check availability.